The best part of graduation? The parties that come afterwards! Unfortunately, my hand tremor came back so precise detail work went right out the window. 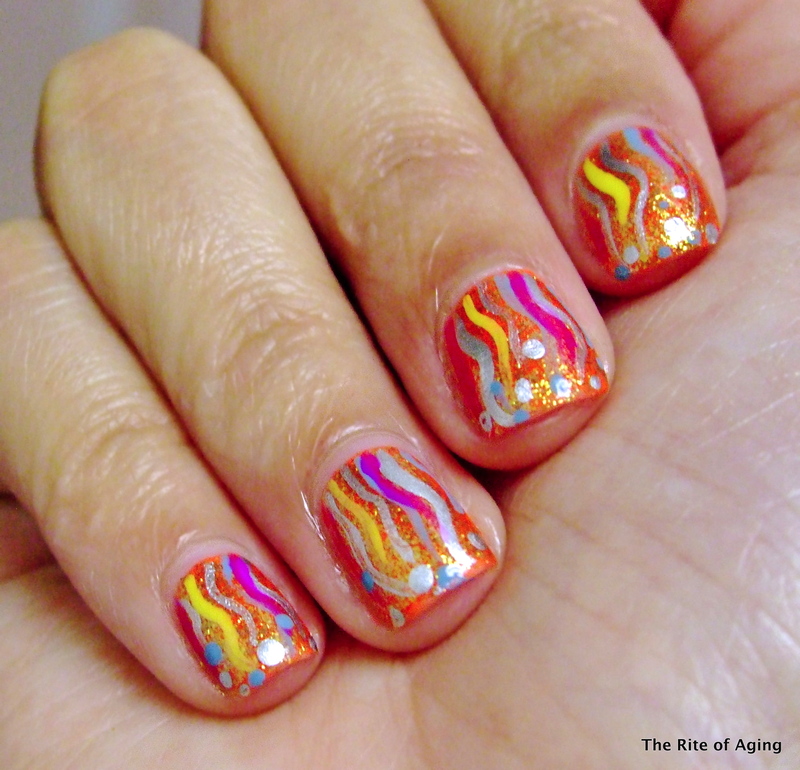 I saw quite a few variations on the “waterfall” manicure and I wanted to give it a try. So, instead of the waterfall I went with a streamer-fall? I used 1 coat of Color Club Wham! Pow! and 3 coats of Sinful Colors All About You as my base.